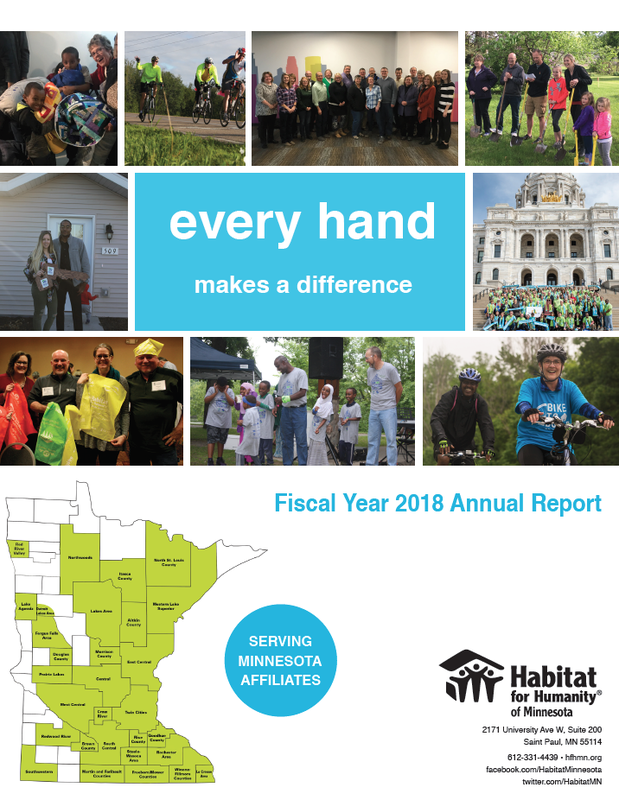 Habitat for Humanity of Minnesotra seeks to educate the public and affiliates about best practices in nonprofit governance. The IRS requires all nonprofits to make their last three years of 990s accessible to the public. For more information, visit the IRS website here on what is required to be disclosed. Check out our new FY18 Annual Report!